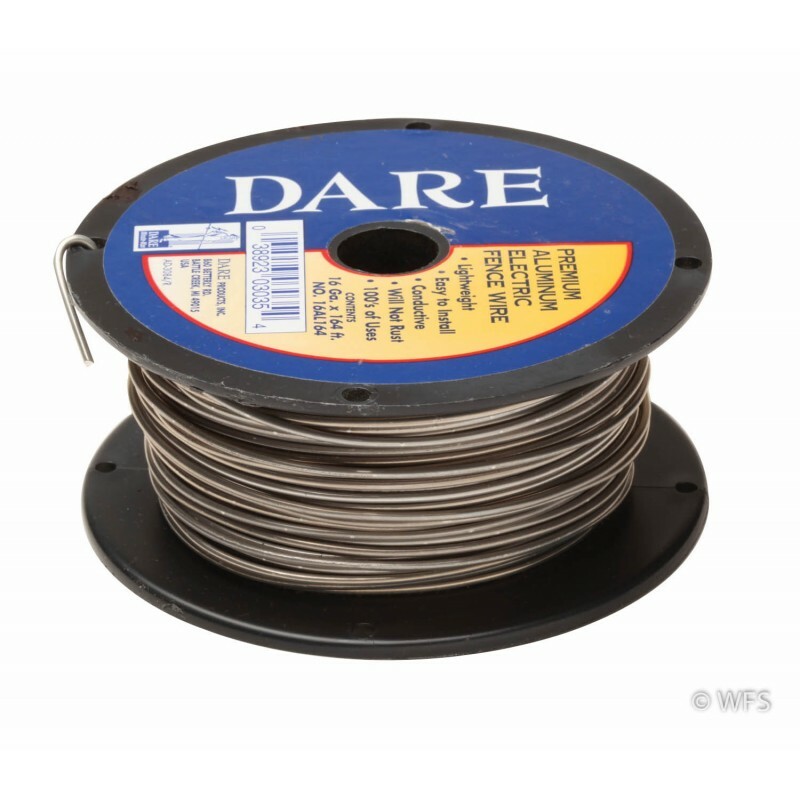 16 gauge aluminum fence wire for small jobs. Does not rust. Good conductivity. 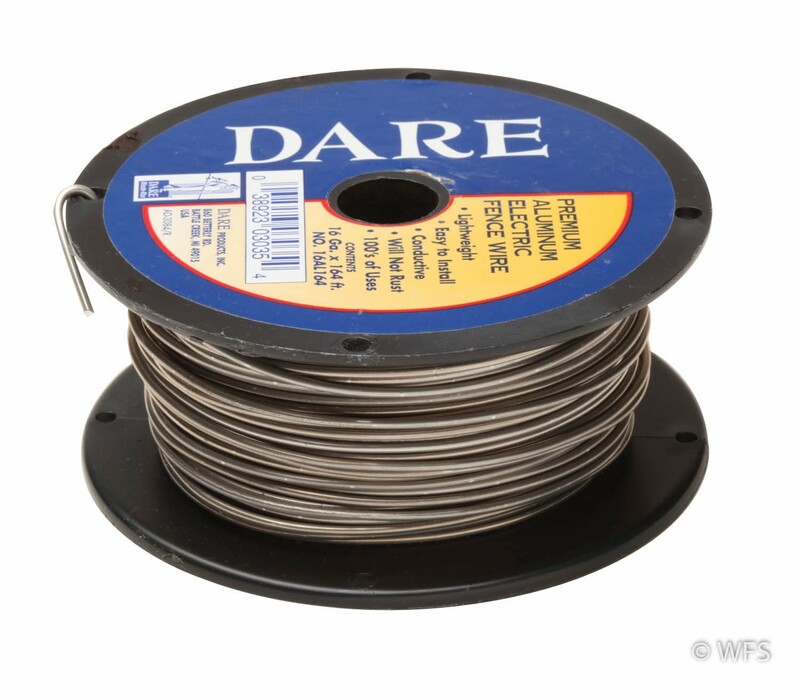 Aluminum is a safe, yet conductive alternative to using steel high-tensile wire. It is easier to work with and does not rust. This 16 gauge product is great for small jobs and only requires low-tension hardware.